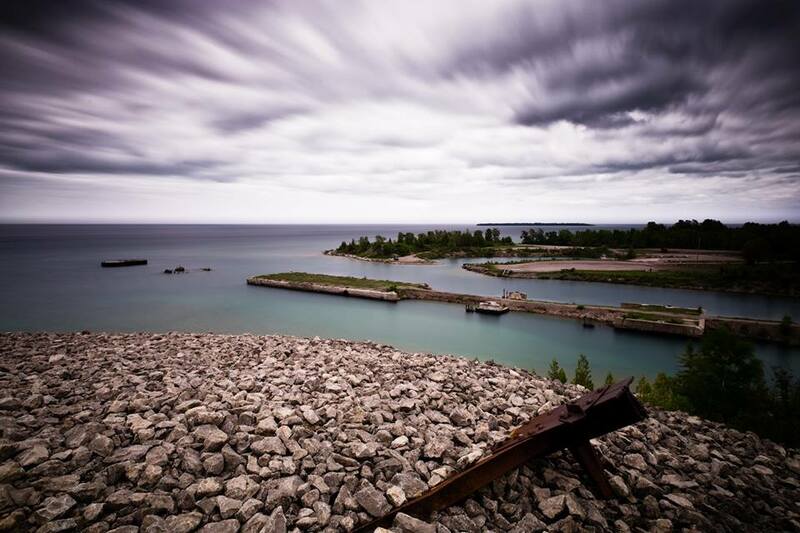 Rockport State Park is a 4,237-acre (17.15 km2) state park located along the shore of Lake Huron in Alpena and Presque Isle counties in the state of Michigan. It is operated by the Michigan Department of Natural Resources and was established in 2012. The park contains limestone formations and an old limestone quarry. There is a deep water boat launch that can accommodate all sizes of watercraft. The park is located along the Lake Huron Flyway and is used to gauge the health of Lake Huron and its shoreline environment. Several ship wrecks can be found off-shore in the Thunder Bay National Marine Sanctuary including the Portland and the Portsmouth.